Have you found yourself moaning about the bubble in Opel GT prices lately? Has it got to the point where it seems like only one percenters can afford anything less than a complete rust bucket project? Well, even if you were bemoaning the new cost of , Opel was thinking of the budget-minded classic car enthusiast over 40 years ago when it released the 1900. With around 81hp net, a live rear axle and independent front suspension on coil springs, and rack and pinion steering, it was praised at the time for its good handling. The 1900 Coupe (or Manta) compared favorably to the Mercury Capri, Toyota Celica and Mazda RX-2, and its character was favorably compared to other higher-end German cars. 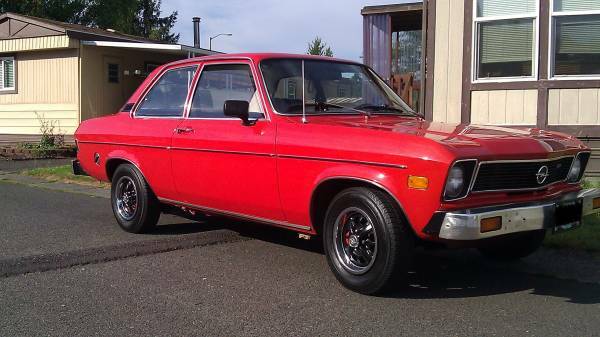 Check out this 1975 Opel 1900 Ascona for sale for $3000 in Gresham, OR. It’s a smart-looking (if conservative) box, and while the bumpers are not a pretty sight, a previous owner has removed the rubber strip on the face and polished them. 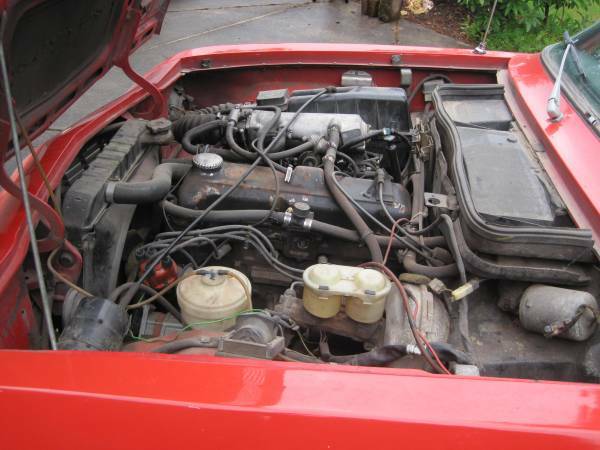 The seller’s description of the vehicle’s running condition is simple – “great condition. 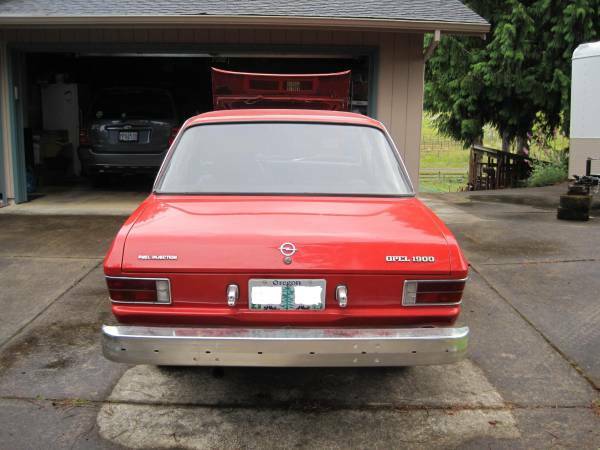 This is a very nice car.” We also get to know that it runs on gas, so that’s useful if you were not a fan of the non-existent diesel and propane versions. In a way, the styling is very GM, but with a European twist and proportions. It’s strange GM saw fit to sell this at the same time as the Vega and friends, as this was roundly recognized to be a much better car in many ways. It’s nice that this is the fuel injected version – drivability should be improved over the carburetted cars, and horsepower went up slightly after declining for emissions reasons through the early 1970s. Some higher compression pistons, electronic ignition and upgraded exhaust might help you reach 2002 levels. With front discs and rear drums, stopping should be easy too. Here’s the 1.9-liter cam-in-head engine, looking decent but not with any obviously new parts. Unfortunately, you’ll be stuck with a 3-speed Automatik-Getriebe, though you might still get a manual from one of the domestic Opel parts houses. Of course, let’s not forget this is a good way for people unable to drive a manual to stay or get into the hobby. Either way, with the large European aftermarket for Mantas, performance upgrades for things like the engine and suspension should be readily available, and for now, you have a fun, unique and simple little runabout. This entry was posted on September 18, 2015 at 2:16 pm and is filed under Feature. You can follow any responses to this entry through the RSS 2.0 feed. You can leave a response, or trackback from your own site.